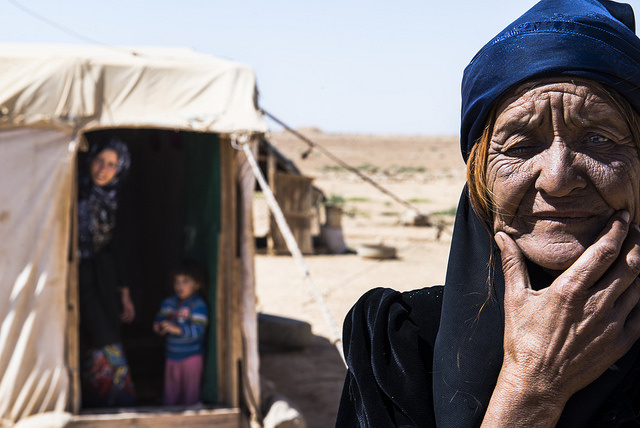 Jordan, an ally in the West’s fight against ISIS, is struggling to support more than 1.2 million Syrian refugees. Amman city manager Fawzi Masad told EURACTIV that Jordan was not getting the support from the EU it needs to cope with the refugee crisis. Fawzi Masad is city manager of the Municipality of Amman, Jordan’s capital. Masad spoke to EURACTIV’s Deputy News Editor, James Crisp, at the Euro-Mediterranean Regional and Local Assembly (ARLEM) in Nicosia, Cyprus. You can listen to the interview on SoundCloud, or read a transcript below . Jordan has been taking a lot of refugees from Syria. You are right, yes. The last census revealed that we had more than 1.2 million Syrian refugees. Most of them are living in local communities and some of them are living in refugee camps. Less than 15%. Local communities have to suffer because of their presence, there’s a lack of services. We have a lot of problems concerning refugees. Yes, our population, with all the immigrants, is 9.6 million. Only 6.6 million of those are actual Jordanians. The country is struggling to support all of those people? Of course. Especially the Syrians. They are mostly poor and came without any support, without any money. The government has to support them. We get some money, support, from overseas, from other countries, from Europe, from the USA. But it’s not enough. You think there needs to be more help from the EU, for example? Yes. 100%. There should be more support, near the beginning of the crisis there was, but in the last period that has dried up. We need support for public, health and social services, which are under pressure because of their presence. Schools have to work two periods in order to be able to teach everyone. We have very limited resources. We import most of our energy, more than 97%. We don’t have any water. We are the third poorest country in the world in that regard. For the original population of Jordan, the resources are very limited. This presence [of migrants] makes it impossible to continue. Yes. Even though we are not getting the help we expect from Europe and the West. We have always supported their policies in our region and our country. We are (the) main supporters of the West yet, still don’t get the support. Lebanon and Turkey are both suffering in the same way. Has it upset people in Jordan that the EU promised money to Turkey to look after refugees? Yes. We don’t mind that Turkey is receiving support, but money should be moved towards the Jordanian government. Has your support of Western policies made you a target for extremist elements? Of course. Supporting the West means that we do not get support from other Arab nations. That is the situation. We need urgent help, but it seems like it is not coming. We have asked European countries for it and have received some, but it is not enough. In terms of the fight against ISIS, what can the EU, or member states, do to help Jordan? Jordan is on the front line and has fought against ISIS. We have suffered as a result, and are trying to protect our borders, cities and people from them. The army is everywhere. The West should have a solution; ISIS does not work alone. They are getting help from somewhere, and it should be stopped somehow, so that ISIS will vanish. They cannot live without support from in and out of the region.